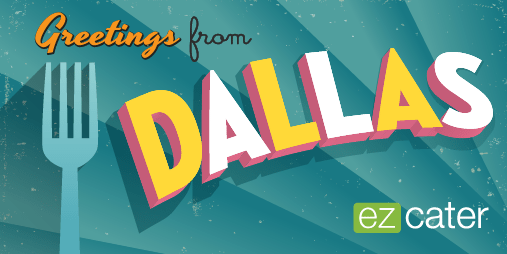 Dallas has been long-celebrated as a land of steakhouses and barbecue spots. But these days, the Dallas catering scene is packed with options and locals are tipping their hats to a little bit of everything. Some chefs are tackling lighter and more creative versions of old favorites while others are playing on the growing international influence. 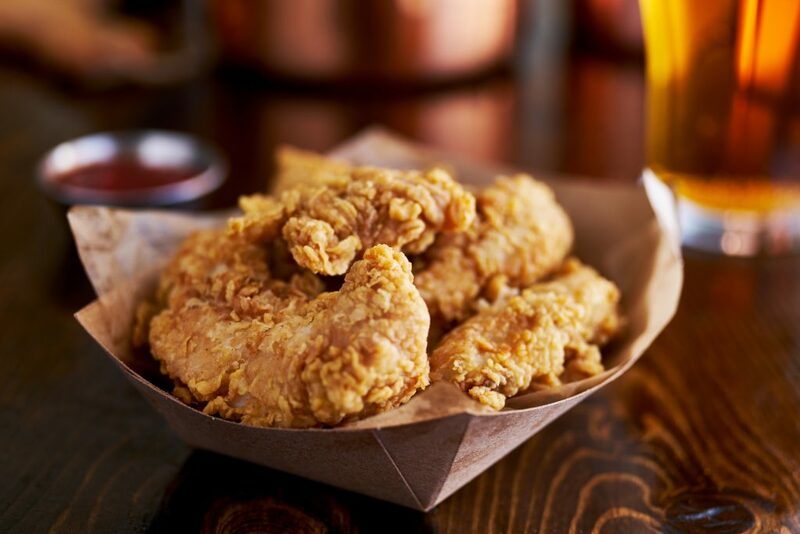 Even fried chicken has taken a starring role on menus as a fierce competitor to the Texas traditions of smoked pork and thick cuts of beef. Here’s a list of the hottest trends in Dallas’s catering and restaurant scene and where to find them. This Dallas catering outfit, whose owners have put in a combined 60-plus years in the business, pushed aside cheeseburger sliders and the Tex-Mex buffet to make room for poke on the menu. Served on crusty crostini, their poke is made of simple sliced tuna topped with ginger and scallions. 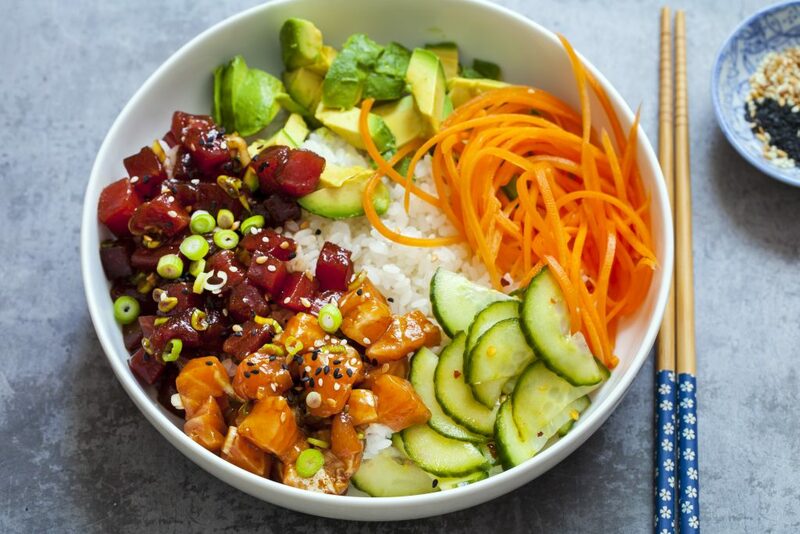 A favorite among the many dedicated poke joints that have opened in Dallas in the past year, Poke Bop pairs big flavors with nutritious ingredients, calling itself a “healthy indulgence”. The Classic Bowl comes with ahi tuna marinated alongside seaweed, cucumber, daikon radish seeds, sesame oil, sesame seeds, and soy sauce. The Green Tea Rice base adds a surprisingly pleasant, floral kick. Zoe’s Kitchen is a longtime favorite for healthy, on-the-go fare inspired by the fresh herb and olive oil-doused Mediterranean cuisine. The restaurant’s catering menu includes a Greek-themed grain bowl, with lentils, quinoa, and farro, house-made tzatziki, feta, cucumber, and dill. Want a little extra? Top your bowl with spicy harissa-coated salmon, or lamb kafta. 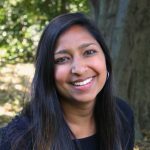 A relative newcomer with a focus on speedy, gluten- and GMO-free food, Grabbagreen has quickly taken the Dallas catering scene by storm. 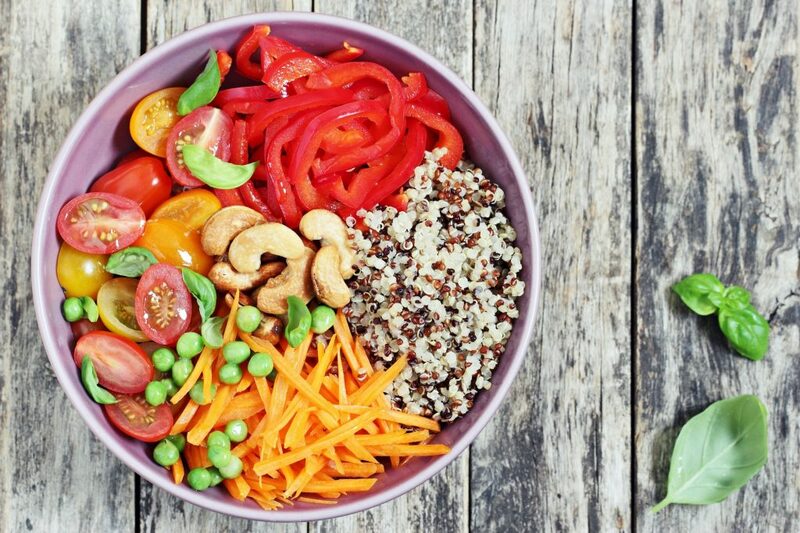 One of its smartest lunch options is the Build-Your-Own Grain Bowl Boxed Lunch, which lets customers choose between grains like quinoa noodles and brown rice, plus a protein and a wide array of toppings like carrots, kale, pistachios, red cabbage, and black beans. Pei Wei has long been a go-to for Asian food made with whole, preservative-free ingredients. Lately, the chain has been stepping up its noodle game, offering options that go beyond Chow Mein. The most interesting is the Japanese Steak & Chile Ramen, with an egg noodle base and wok-seared steak tossed in spicy Japanese sauce. 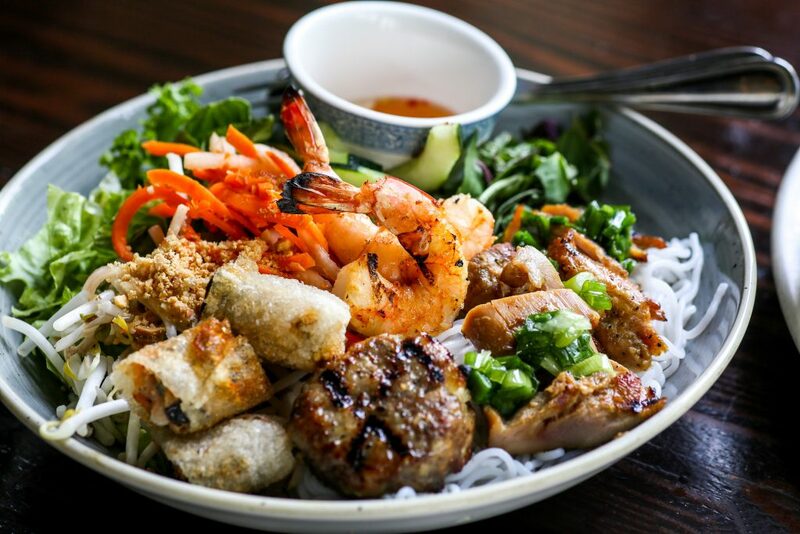 Continuing on in the build-your-own trend, Urban Caphe’s bowl involves a base of the popular thin rice noodle, vermicelli, plus toppings like lemongrass-fried tofu, 5-spice glazed pork, and freshly grilled shrimp. Luong decided to double down on noodles because they are the ideal canvas for unique ingredients and customization. “We have taken extra care in molding our noodle soups and adding different levels of spice, so the customer has the ability to dictate their own version,” he says. Tacos get a Korean twist at ssahm BBQ — the edgy fusion food truck blending flavors from Asia and the American Southwest. 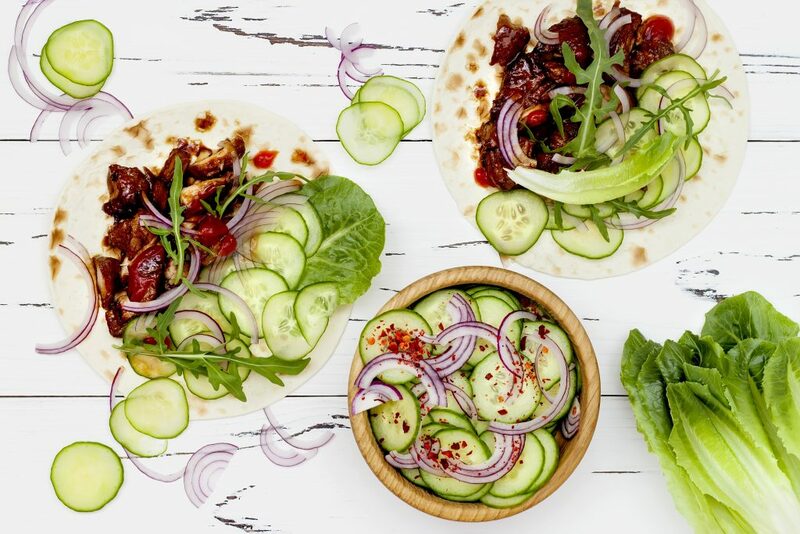 Choose between chicken, beef, pork, or tofu, all barbecued Korean-style, then topped with spicy mayo, Korean salsa roja, and a sesame soy vinaigrette salad. Gator is something of a southern tradition, thanks to the reptile’s abundance in the region — and the meat tastes great stuffed inside Spice Rack’s signature tacos. The gator meat soaks up the flavors of the coleslaw, the restaurant’s famous house sauce, pico de gallo, and cilantro perfectly. Cater a platter of up to 100 tenders at Dallas’s Super Chix, a no-frills chicken joint launched in 2014 that takes its bird very seriously. The highlight of the meal is the assortment of sauces that come with your order, including cucumber dill ranch, sweet and smoky, and a fiery Nashville hot sauce. The cleverly named Love Me Tender Platter is a signature offering at Whistle Britches, a southern, home-style Dallas catering outfit specializing in crispy chicken and fluffy biscuits in the heart of Dallas, founded in 2016. Choose between classic sauces like buffalo and honey mustard, and round out your order with a gallon of sweet tea for a down home meal.